Synario are venue finders and event co-ordinators operating throughout the UK who coordinate events ranging from conferences, corporate activity days, fairs, rallies, weddings, product launches to classical and rock concerts. You instruct, we construct the event from start to finish in conjunction with our specialist suppliers. Synario now has links with the Cripps Barn Group developing new wedding venues in the North of England. Johnnie was a partner for fourteen years in Smiths Gore, one of the country’s leading firms of rural property agents which manages over 1.5 million acres of land. His early background was in estate management looking after private estates usually with Historic Houses and for five years was a Crown Estate Receiver (senior property manager) in Scotland. He practiced throughout much of the UK managing properties in the South West (3 years), the Midlands, North East and North West (15 years) and Scotland (9 years) and therefore has extensive contacts with property owners nationally. Johnnie specialised in exploring diversification opportunities for property owners which lead to his involvement in special events. He established a Special Events Department for Smiths Gore; however in September 2002 he left the Smiths Gore partnership to set up Synario with Nicola. 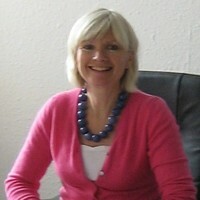 Nicola was a founder and director of The Chocolate Society for 10 years. She helped the business to build up a membership of more than 20,000 selling its own branded products to top quality outlets throughout the UK. She promoted quality chocolate through television documentaries, publications, conference talks and workshops. Nicola helped spearhead the International Chocolate Festival in London and the Festival of Chocolate in Perugia as well as numerous events for members. 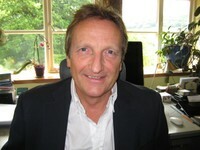 In addition Johnnie and Nicola run Norwood Properties managing UK commercial property portfolios.